For many families, the Cub Scout Sign-up Night is their first experience with Scouting. Many units are now holding come-and-go events which are faster for today’s busy parent. This leaves us a delicate window to make a good first impression. The key to making each night a success is to have a plan! Here are seven important steps to help make your 2017 Sign-Up Night event a success using the Station-to-Station Sign Up Night set-up. An image you could use to promote Cub Scouts on Facebook. Find more at AtlantaBSA.org/Recruitment. Have a marketing and communication plan: yard signs, flyers, emails, school marquees and bulletins, and newspapers. Social media is key today, encourage families in your Pack to share information about the Sign-Up Night on Facebook and Instagram. Use any outlet to Get the word out with a set date, location and times. Showcase your entire pack leadership, in uniform. Solicit help from local Boy Scout leaders and den chiefs, in uniform, to ‘entertain’ the new Scout prospects. Enthusiastically greet every family at the door. Have them sign-in. Tell each family there are 5 stations in the sign-up process and it should take 20-30 minutes. The stations need not be completed in order. Guide families through stations that may bottleneck. Provide each family with a most crucial piece of information, the Pack Calendar. Have a pack marketing piece and event fliers available. Have information on uniform and book purchases and examples of each on hand. Have plenty of applications ready. Have information on the ‘other costs of Scouting (pack dues, Spooky-ree, or Family Camping fees) Collect a completed, signed application and the correct council fees. Turn them in that night. Have information on a payment plan or available assistance. Have your den leaders available to meet the new scouts, share cool experiences, and answer all questions. Families can linger here. Be prepared and be patient! 7. Follow-Up and Sell The Fun! Fully 20% of your new scouts this fall will come from second chance or bring-a-friend events. Use the info from the sign-up sheets to follow-up with phone calls and/or emails to get a completed application. Organize a fun opening event such as shooting BB Guns or an ice cream or pool party, or all three! 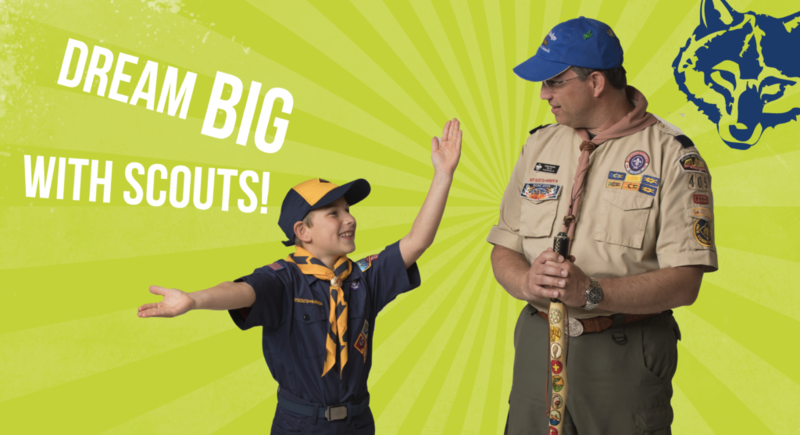 After all, the #1 reason families decide to join Scouting is the first meeting. If you complete these seven steps this year’s Cub Scout Sign-Up Night will be the first step in your Pack delivering the Promise of Scouting to many more youth in your neighborhood. Let’s Do Our Best to make it the best fall recruiting season yet! This article was submitted by Donald Olds, Membership Operations Chair for Atlanta Area Council.